Who is to blame if a dog attacks a potential home invader? This question is not as bizarre as you might think. 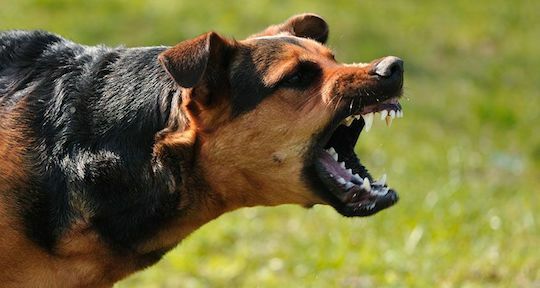 Let’s first take a look at the legal issues around a normal dog attack in South Africa. A dog attack falls under what is known as strict liability or the actio de pauperize. This means that, unlike liability due to negligence or intent, one can be held liable without fault. This means that even if you were not directly at fault, you can still be held responsible for your dog attacking someone. You could be required to make compensation for the actions of your dog. It applies to domestic animals so wild animals do not fall under this law. Any animal that is deemed to be tame and kept as a pet could fall under this definition. The person responsible must be the legal owner of the animal. In other words, if you were caring for some else’s dog, you could avoid liability. The dog or pet must have acted spontaneously and in a manner that was not in its nature. The injured person needs to be in the area or place where the incident took place lawfully. They need to have a “legal right” or “lawful purpose” for being there. It is this last point that answers the question of liability if your dog attacks a potential home invader. The “victim” in this case is not there legally and therefore cannot hold a dog owner responsible for an attack. If the person is mauled to death and it can be proved that the victim was there without a lawful purpose, the owner of the dog should not be held responsible. Where a third party is involved in exciting or provoking the animal. Where another animal caused the provocation. Where the injured person provoked the animal. Crime is a sad reality of life in South Africa and dogs can provide a good form of protection. It is important to be aware of your potential for liability as a dog owner and the necessary steps to prevent any dog attacks. If, however, your dog a attacks a potential home invader, the person is there unlawfully and you should be free of any liability.